NEW YORK — As cell phones have spread, so have large cell towers – those unsightly stalks of steel topped by transmitters and other electronics that sprouted across the country over the last decade. Now the wireless industry is planning a future without them, or at least without many more of them. Instead, it’s looking at much smaller antennas, some tiny enough to hold in a hand. These could be placed on lampposts, utility poles and buildings – virtually anywhere with electrical and network connections. If the technology overcomes some hurdles, it could upend the wireless industry and offer seamless service, with fewer dead spots and faster data speeds. Some big names in the wireless world are set to demonstrate “small cell” technologies at the Mobile World Congress, the world’s largest cell phone trade show, which starts Monday in Barcelona, Spain. 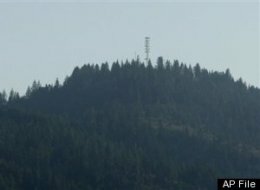 “We see more and more towers that become bigger and bigger, with more and bigger antennas that come to obstruct our view and clutter our landscape and are simply ugly,” said Wim Sweldens, president of the wireless division of Alcatel-Lucent, the French-U.S. maker of telecommunications equipment. RF/microwaves from cell phones and cell tower transmitters also cause micronuclei damage in blood cells. The telecommunications industry knows this thanks to its own six-year, wireless technology research (WTR) study program mandated by Congress and completed in 1999. Dr. George Carlo, confirms that exposure to communications radiation from wireless technology is “potentially the biggest health insult” this nation has ever seen, a greater threat than cigarette smoking and asbestos. ECOLOG found over 220 peer-reviewed, published papers documenting the cancer-initiating and cancer-promoting effects of the high frequency radiation employed by wireless technology. Because gamma waves and RF/microwave radiation are identically carcinogenic and genotoxic to the cellular roots of life, the safe dose of either kind of radiation is zero. No study has proven that any level of exposure from cell-damaging radiation is safe for humans. The identical damage resulting from both radioactive gamma waves and high frequency microwaves involves a pathological condition in which the nuclei of irradiated human cells splinter into fragments called micronuclei. Micronuclei are a definitive pre-cursor of cancer. During the 1986 nuclear reactor disaster at Chernobyl in Russia, the ionizing radiation released was equivalent to 400 atomic bombs, with an estimated ultimate human toll of 10,000 deaths. Exposed Russians quickly developed blood cell micronuclei, leaving them at high risk for cancer. The telecommunications industry knows this thanks to its own six-year, wireless technology research (WTR) study program mandated by Congress and completed in 1999. Gathering a team of over 200 doctors, scientists and experts in the field, WTR research showed that human blood exposed to cell phone radiation had a 300-percent increase in genetic damage in the form of micronuclei.3 Dr. George Carlo, a public health expert who coordinated the WTR studies, confirms that exposure to communications radiation from wireless technology is “potentially the biggest health insult” this nation has ever seen. Dr. Carlo believes RF/microwave radiation is a greater threat than cigarette smoking and asbestos. doctors found a trebling of cancers after five years in patients who lived within 400m from mobile phone masts (radiation levels similar to those of a Wi-Fi network). Probably the most well-known is The Stewart Report (2000), published by a committee set up by the UK Government to look into the effects of microwave radiation. The committee was chaired by Professor Sir William Stewart (former chief scientific adviser to the UK Government, and now chairman of the Health Protection Agency). The Stewart Report stated that there may be biological effects occuring at exposures below the government safety guidelines, and that a precautionary approach was required for these technologies. In an interview in 2004, Sir William Stewart said he was even more concerned, mentioning four new studies that worried him – including the Naila Study in Germany, where doctors found a trebling of cancers after five years in patients who lived within 400m from mobile phone masts (radiation levels similar to those of a Wi-Fi network).